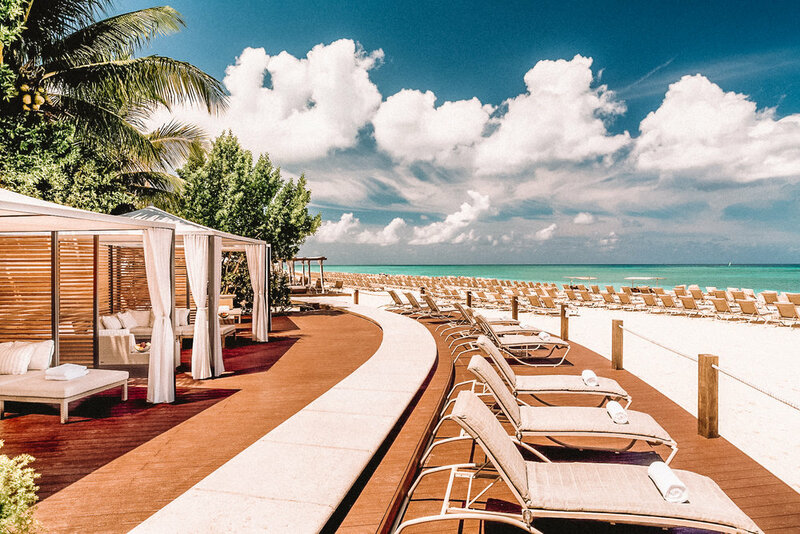 The palatial Ritz-Carlton Grand Cayman towers out from the centre of Seven Mile Beach like a giant sandcastle inviting holiday-goers to play. The reputable hotel’s interior is a well-balanced combination of modern, abstract lines and traditional décor with subtle lush finishes and luxurious touches of glamour, evoking that old-Hollywood feeling that guests have come to expect of The Ritz hotel brand. The resort itself is a self-contained entertainment haven showcasing an oceanfront swimming pool, a small marina, a nine-hole golf course, a few basketball courts, a tennis centre and a magnificent La Prairie Spa, making it very easy to forget to leave the comfort of your shady oceanside cabana. Public spaces and specially adapted rooms are all wheel-chair accessible. The resort offers a full children’s programme and their Starfish Cay waterpark. Enquire about their annual summer school activities at the concierge desk. Almost all the rooms at The Ritz-Carlton Grand Cayman look out onto azure waters and inviting soft white beaches dotted with large leafy palms. It’s an idyllic family-friendly haven, a honeymoon-hotspot with Instagram-inspiring views and frangipani-scented sunsets. With its world-class restaurants, it’s also a local favourite when celebrating special occasions or Friday nights at Silver Palm Lounge. The rooms are modern yet traditional with subtle sandy palettes accented with topaz tones and bright, friendly citrus colors. Enjoy feather duvets and goose down or non-allergenic pillows, a fully stocked refreshment bar with refrigerator and marble spacious bathrooms with a shower & separate bath tub. Rates start at $342 in low season and up to $411 in peak season. Breakfast not included. Free Wi-Fi. Celebrity chef Eric Ripert heads up the signature restaurant, Blue and it shows, delighting guests on the daily with fish-centric, six- and seven-course tasting menus paired with beautifully elegant wines from around the world. The more casual yet equally sophisticated option, SEVEN, offers more meat options, as well as Caribbean and internationally inspired fresh seafood dishes, while Andiamo specializes in impeccable Italian. For those with a more adventurous palette, Taikun offers Japanese fare and sushi. For hand-crafted cocktails or delectable afternoon tea be sure to visit the Silver Palm lounge. The Ritz-Carlton’s two towers are very conveniently and centrally located. The towers are positioned on both sides of West Bay Road and connected by a sky bridge doubling as an art gallery. Cayman’s finest culinary establishments are all a pebble’s throw away while excursions to the edges of the island can be arranged with your concierge. The newly-upgraded George Town airport is a mere 15-minute cab drive away.